Takeaway: Mobile forms help reduce safety violations through improved data collection, accuracy, and automated processes. These violations have serious implications for the safety of workers, and more than 4,300 workers died on private sector job sites in 2015. Of all those fatalities, one in five took place in construction settings. That amounts to a staggering 93 fatalities a week—13 deaths every day. Many of those fatalities were preventable, and complying with OSHA regulations is the first step to preventing them. And yet, as the figures above show, so many workplaces failed to take even those basic measures. That's why it's important to do everything we can to encourage compliance by removing any friction in our safety processes. And one great way to remove that friction is by making use of mobile technology. Mobile technology, such as a mobile forms solutions on tablet or smartphone, makes it easier than ever to comply with regulatory compliance and, as a result, save lives. By allowing safety professionals, supervisors, and other company team members to perform safety inspections on a handheld device, dispatch essential EHS forms and instructions to the field, and automatically sharing inspection results, mobile solutions keep workers safe and companies compliant. Safety experts know how important it is to capture accurate information in the field—the slightest error could have disastrous consequences. Deploying mobile forms in the field can make a big difference in achieving health and safety compliance. Yet despite those benefits, a surprisingly high number of companies still rely on paper-based processes. In a recent survey of over 450 safety professionals on their use of technology to support safety processes, the data showed that more than 50 percent of respondents are still collecting and sharing their safety data on paper. Relying on paper forms makes safety inconvenient and slow—two things it should never be. It's an employer's duty to make sure every one of their employees gets to end their workday safe and sound. Taking that responsibility seriously means doing what you can to make the reporting, sharing, and response processes as smooth as possible. Here are five powerful benefits of mobile technology that can mitigate those serious violations, keeping sites—and the people laboring on those sites—safe and compliant. Accurate data is critical to ensuring the safety of technicians. If a hazard isn't properly communicated for them, they cannot take steps to protect themselves, leaving them at risk. Safety inspection forms improve quality of data collection across the board—no smudged or lost paper forms, and photos and sketches help identify safety concerns instead of relying on vague descriptions. Mobile safety checklists can have mandatory fields that have to be filled before the user can proceed any further. Unlike paper forms, then, these spaces can't be left blank and no one can try to cut corners by skipping over them. If there is a potential gas leak on a job site, it is imperative that on-site teams have access to the appropriate respiratory equipment as soon as they need it—not a week later, after the forms have been processed and the employees might have been exposed to toxic gas. It takes a long time to fill out and submit a paper form. It takes an even longer time for it to get processed and responded to. Mobile solutions, on the other hand, work in real time. The moment you submit a safety inspection form, it’s in the system and available for processing. Mobile technology eliminates the delay between the moment a safety hazard was detected, and when that information is available to other stakeholders. Once a machine has been tagged for lockout, you want that equipment up and running as soon as possible. Smart and automatic workflows can notify people and stakeholders immediately if there's an equipment breakdown or a violation. Answers in the form itself can be used to determine who should receive notifications.The same form can automatically dispatch a technician to fix the problem immediately. If your technicians arrive to perform a job that requires fall protection, but someone forgot to specify that in the work order, the project will be delayed until the right equipment arrives on site. Conditional logic can help improve the quality of the data you collect. Even when the safety inspection is performed by a technician who is less experienced, tired, or simply distracted, registering a "FAIL" response to a certain question could trigger an automatic follow-up question that requires a photo and a mandatory field for more details, and automatically populate a list of required PPE. By reducing the effects of human error, mobile forms ensure that the data is captured in a thorough and precise manner. Preventative maintenance is critical to job site safety. When you have technicians working at height, you want to be sure that your scaffolding will hold up and be 100% safe. Analytics can be an essential preventative maintenance tool. 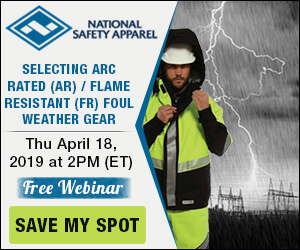 By automatically analyzing the company's historical field data, you can predict equipment failure for everything from scaffold integrity and heavy machinery to hazmat protection gear and life and fire systems. Not only does this give you fresh insights that you could not have acquired without advanced technology, but it also overcomes human procrastination by automatically scheduling maintenance and then dispatch a technician to fix the problem. Safety professionals who embrace mobile solutions will not only improve the efficiency and accuracy of their work, but also will raise compliance and carve a path to a safer job site. Source: OSHA, Oct. 11, 2016.